Hartford is one of the oldest cities in the US and its origin can be traced back to 400 years ago. Hartford, the capital of the Connecticut, is more familiar as the "Insurance Capital of the World" with headquarters for many insurance corporations. Hartford a popular metropolis is also a center for education, medical care and research. In the present circumstances, Hartford has given prominence to a wide range of business and industrial sectors. In an ambitious world, with people driven by strong desire to succeed, there is a tendency to upgrade with knowledge. On that account, KnowledgeHut has put forward Leading SAFe 4.5 course in Hartford that introduces you to the Scaled Agile Framework. The two days' workshop enables you to comprehend how a program interacts with Program Portfolio Management (PPM). KnowledgeHut has alliance with the Scaled Agile Academy, to enhance the level in offering more SAFe courses. 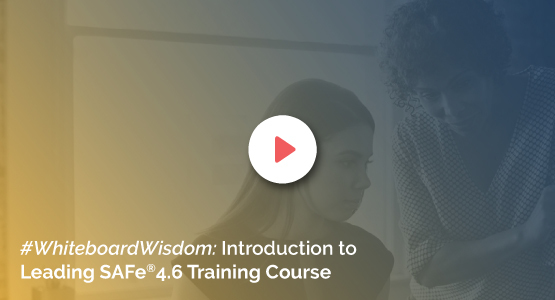 The coaching implicates the demonstration of how Lean, Agile, and Product Development Flow form the foundation of SAFe and how to execute coordinated releases across a program. The trainers are highly qualified with more than 20 years of exposure to software fields. The lectures cover all the Agile principles and certifies you as the leading SAFe 4.5 Agilist in Hartford. On the completion of the leading SAFe 4.5 training in Hartford, web-based exams will be organised, each of which will comprise of 45 questions, with 76% as the passing score. Register yourself with KnowledgeHut either for classroom training or e-learning. Leading SAFe 4.5 online course in Hartford is also beneficial with free downloadable reference materials.